Open source considered to be a mere buzzword during the 90s, the meaning of the word has now changed. 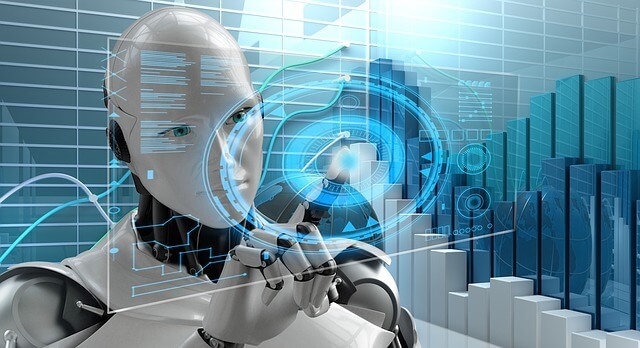 Open source software is not only driving forward innovation and transparency within cloud sourced databases, but it is also the cause of widespread developments in Artificial Intelligence and the World Wide Web. Today open source software fuels the global economy, driving forward initiatives and community development in many areas, but what exactly is it? Put simply open source software, is software that can be used by anyone who has access to the same shared operating system. Modifications to source codes can be made by other people who may enhance or inspect computer data within the network, and this process results in continuous improvements to the software. The power of open source software is derived from the power to continuously modify and update openly in collaboration with others. The advantage this has over proprietary software (closed source software), which is company owned, is that open source developments are cohesive. Closed source software is greatly limited as the proprietor contains all rights to the software, through copyright, and as a result, the source codes remain secret. In open source development project designs are far more diverse and usually result in more efficient management of databases and information. By simply adding in features or taking away applications that don’t operate effectively, an open source system allows companies to stay well ahead of technical developments, and issues are handled inexpensively. The velocity of data that is created in the Internet of things (loT) infrastructure is truly staggering. As billions of data are constantly being created through thousands of devices, companies have to analyze these datasets from the loT, which requires funneling data through network maintenance systems. However, these data sets can be vastly reduced in Open Source Networks as the acceleration of analytical tools, makes it far easier to map and reduce these huge datasets. Furthermore, the analytical tools themselves can continuously be refined and updated, allowing for better and quicker processing times. Utilizing open source systems in loT can also dramatically improve internet of things security, as better configurations can be made within organizations, which will also boost its drastically. This is because having thousands of people working on and watching code is going to have far greater effects on improving algorithm security, rather than a small team of developers. Public infrastructure cloud databases can also be utilized in these instances, as those which share the same code base can be used to process the open source code. Continuously expanding beyond the conceived realms of possibility, Al technologies since its utilization through open source organizations, has been advancing at a rapid rate. TensorFlow released by Google in 2015 offers an open source framework, which is used to develop neural networks through many computational models. Today this is one of the most widely utilized open source platforms by companies such as Twitter DropBoc and Uber. Publicly accessible software undoubtedly has amazing benefits. Open source software allows people to have more freedom when examining the code and to not worry about how or whether they should make tweaks the software. In that sense, it offers a massive opportunity to learn and improve, and share work with others. As new open source products find their way into consumers hands its likely that technological developments will continue to speed up in the near future. With more robust, dynamic and secure software architecture on the way, the forward momentum of open source software is becoming unstoppable.